You may not know their names, but you know many of their songs. Individually, but more often as a team, Kenny Gamble and Leon Huff wrote and/or produced a lot of timeless classic songs in the soul music genre. They were the pre-eminent rhythm and blues architects of the first half of the 1970s, and their production style paved the way for disco, before that genre got watered down. Plenty of their records found their way to the top of the pop charts as well. Today is Kenny Gamble’s 75th birthday. To celebrate, Tunes du Jour presents a playlist of twenty great Gamble and Huff sides. It’s African American Music Appreciation Month And I Need To Dance! On May 31, President Obama issued a proclamation declaring June 2016 as African American Music Appreciation Month. The designation has actually been around since 1979, when President Carter commemorated the cultural and financial contributions of music made by African Americans at a reception at the White House. Back then it was Black Music Month, an idea conceived by music industry executive and radio personality Dyana Williams and her husband, Kenny Gamble. You may not know Gamble’s name, but you know his music. 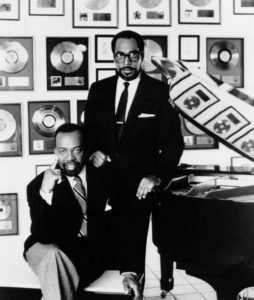 The co-founder of Philadelphia International Records with Leon Huff, Gamble and his music partner have written and produced hits for Diana Ross & the Supremes and the Temptations, Dusty Springfield, the Jacksons, the O’Jays, Harold Melvin & the Blue Notes, Jerry Butler, Archie Bell and the Drells, the Three Degrees, Joe Simon, MFSB, Billy Paul, the Soul Survivors, Teddy Pendergrass, the Intruders, Lou Rawls, People’s Choice and the Jones Girls. Tunes du Jour’s weekly dance party celebrates African American Music Appreciation Month with twenty dance floor packers, kicking off with a few of Gamble and Huff’s gems. It’s Rebbie And LaToya Jackson’s Birthday And I Need To Dance! If you’re like me, you woke up at 2:17 AM last night, wondering if any animals besides humans can dance, and then you had trouble falling back asleep. If this sounds like you, I suggest you seek therapy. If you’re in L.A., please pass on to me the name of your doctor. I Googled “Can animals dance?”. 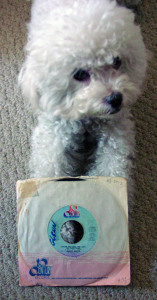 I read about a sea lion who loves to shake it to Earth, Wind & Fire’s “Boogie Wonderland.” That doesn’t prove anything. Only a corpse wouldn’t move to that song. A neuroscientist at the Neurosciences Institute in La Jolla, California discovered that parrots and elephants can dance, but other animals cannot. He defines dance as a natural untrained reaction to music involving moving to the beat. By that definition, most humans can’t dance, either. I know. I’ve been to straight weddings. The Week reported that scientists found that bees, cockatoos, peacock spiders, dung beetles, manikin birds and freshwater algae can dance. First off, I didn’t know algae was an animal. Secondly, doesn’t algae merely move along with the ebb and flow of the tide? By that definition, everyone’s a good dancer, even attendees at straight weddings. Speaking of monkeys, the Daily Mail reported that bonobos like to dance to very fast music. The article was accompanied by several photos of polar bears striking Saturday Night Fever poses. Polar bears are classified as an endangered species, so I can see their concern with stayin’ alive stayin’ alive. Still, I wouldn’t confuse them for bonobos. I know a bear when I see one. I’ve been to gay weddings. I saw a video of a cockatoo dancing to Backstreet Boys. There’s no accounting for taste, but I must admit, the moves were good. Not Michael Jackson good, but if that is the standard, then no animals can dance. By that measurement, most humans can’t dance. Most Jacksons can’t dance. Today is the birthday of Michael Jackson’s older sisters, Rebbie and LaToya, not particularly good dancers from any video evidence I’ve seen. Rebbie had a hit song called “Centipede.” I’ve read nothing in my research about whether or not centipedes can dance, but I doubt they can, given they have fifty left feet. It’s Barry White’s Birthday And I Need To Dance! Sometime in the 1950s, a man named Peter Sterling Radcliffe wrote a country song he called “You’re My First, You’re My Last, My In-Between.” For years he tried to get someone to record it but nobody was interested. 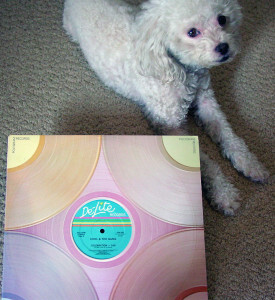 Years later, Radcliffe was introduced to Barry White by arranger Gene Page. In the 1960s White was a session musician and producer who worked on records with The Bobby Fuller Four, Bob & Earl, Jesse Belvin and Viola Wills. In 1972, Barry White wrote, produced and arranged “Walking in the Rain with the One I Love” for a female trio named Love Unlimited. The record hit #14 on the Billboard Hot 100. The following year White released his first solo album, I’ve Got So Much to Give, which produced the #3 gold single “I’m Gonna Love You Just a Little More Baby.” The top ten single “Never, Never Gonna Give Ya Up” followed in 1974. Pay it forward, people. You may be rewarded in more ways than the satisfaction of knowing you helped someone in their time of need. Now if you’ll excuse me, it’s Barry White’s birthday and I need to dance! It’s Friday The 13th And I Need To Dance! In many Western countries, Friday the 13th is considered a day of bad luck by those who believe in such silliness. In Spanish-speaking countries, Tuesday the 13th is unlucky. In Italy, Friday the 17th is considered unlucky and 13 is a lucky number. In Finland, many organizations promote National Accident Day, which always falls on Friday the 13th. A study in the Netherlands found fewer car accidents occur on Friday the 13th as compared to other Fridays. The Stress Management Center and Phobia Institute in Asheville, North Carolina estimates that somewhere between 17 and 21 million people in the United States are afraid of Friday the 13th. At Tunes du Jour we dance every Friday, and we ain’t afraid of no 13th! Let’s kick off this week’s party with “Bad Luck,” by Harold Melvin and the Blue Notes. 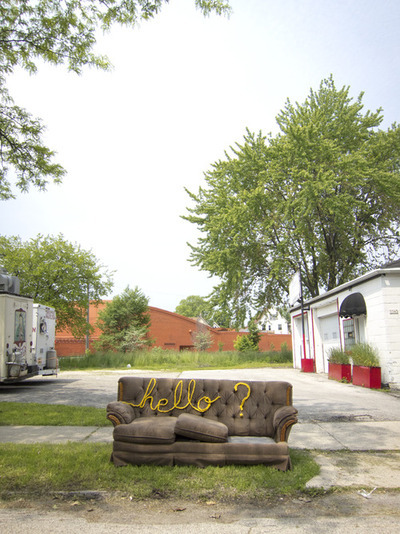 A Wisconsin artist named Molly Evans started an art project in which she stitches Lionel Richie lyrics on discarded furniture. She calls the project Lionel Stitchie. You can view her tumblr here. Today’s Friday dance party kicks off with Richie’s “All Night Long (All Night).” I want a couch that says “Tom bo li de say de moi ya,” which means exactly what you think it means. To get his Jamaican accent down, Alabama-born Richie phoned his wife’s gynecologist, who is Jamaican. The doctor asked Lionel to not interrupt his appointments.